Kobe Bryant set an infamous record Tuesday night, becoming the all-time leader in missed shots in the NBA. Bryant, of course, had a great response about the record, noting his role and career longevity have played a part in all of his misses. 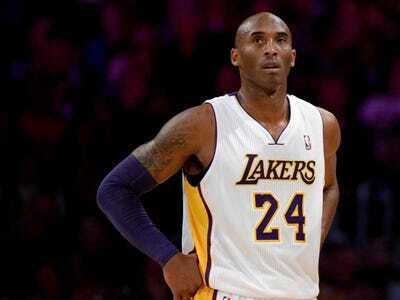 It’s good Bryant is OK with missing shots and handling the criticism afterward, unafraid of failure. He’s going to need to keep taking a lot of shots this season, and with another year left on his contract, his record might go unbroken.